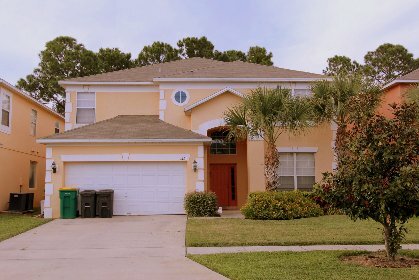 Our lovely 8 bedroom pool/Spa home is located on the prestigious Emerald Island Resort, a gated community only 3 miles away from World Disney. All our guests alike can utilize all the facilities provided within the resort, which include the clubhouse sauna, fitness center, games arcade, Internet cafe, Tiki-bar, 2 heated community pools and spas, volleyball, tennis courts, basketball facilities, kiddie play areas, and much more. Our vacation home is perfect for family groups, and sleeps up to 19 guests. The home is equipped with functions for all family activities. The spacious family room has a 52-inch flat screen cable TV and DVD player and every bedroom has a TV. Free WIFI. The air-conditioned game room offers universal exercise system, pool table, 62-inch TV for any video game hook-up, and is heaven for kids. Our Kitchen has everything for you to cook a family feast! While you enjoy the Florida sunshine, your family can relax and have fun together in our sparking, crystal clear pool/Spa. 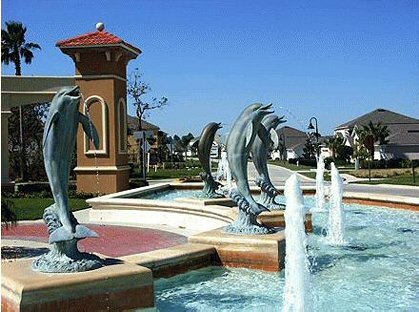 Join us in Florida stay at our vacation home at Emerald Island Resort and experience an relax, comfort and fun family vacation. $999-$2699 weekly + taxes Optional Items: Pool/Spa heat $200 per week or $35 per day if less than week BBQ Grill $45 unlimited use, renter responsible to fill up If empty Actual price is based on seasons, holiday, school vacation, changeover date and group size. We offer competitive rates, last minute deals & specials on all occasions! Big saving on monthly rental. Please contact owner for accurate price quote.